Thank you contacting Dr. Mark Gold, Chairman of RiverMend Health’s Scientific Advisory Boards for Addiction and Eating Disorders & Obesity. A representative of Dr. Gold’s office and/or RiverMend Health has received your inquiry and will be following up with you shortly. 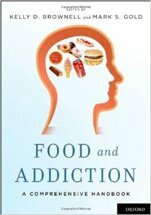 Dr. Gold explores the science and evidence of food addiction.